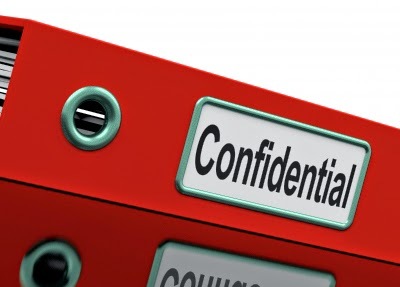 How To Get Confidential Information About A Website? Ever wondered how to get certain confidential information about a website that you can't normally get from an About Us or Contact page? Who is the owner of a website and how to get in touch with him? Where is the website hosted? What ad-networks is a site using? What Content Management System is powering a site? The answer to these questions can sometimes be useful, for example when you're looking for information about your competitors, or maybe just trying to follow the footsteps of your favorite blogger. Maybe you liked a website/domain so much that you decided to buy it. In order to find out who the owner of a domain is, and how to get in contact with them, http://who.is/ perhaps your best bet. Who.is is a universal lookup service, which means that it queries data from all the popular domain registrars. It is free as well, and hence has become the most popular service of its kind. Another service, ewho.is (extended who.is) offers more comprehensive information about the website owner, and even tells you about other domains that the person owns. There might arise a situation where you would need to know what hosting company is a website using. For instance, while filing a DMCA complaint against a site, or perhaps finding out what host is your competitor using to get better response time than your own host. WhoIsHostingThis is a free online service that does just what the name suggests. Enter the URL of any website and it will show you the name of the company where that website is hosted. You can also use the free MyIP.ms service, which offers a comprehensive report of any website. It tells you about the hosting provider, the physical location of a website, the IP Address change history, and the DNS information. Want to find out what advertising partners are your competitors using? Or what technologies are they using? BuiltWith is a service that lets you know what mail service a website is using, what tracking widgets are installed, and what CDN, if any, is a website using. Bonus: If you wish to analyze your competitor’s website further and do a more thorough research on them, then SEMrush is what you need. It will help you figure out what keywords are people using to land on a website, how many people are landing on a site (traffic analysis), and what other competing websites are there.